This very affordable mechanical product will bring hours of satisfaction to your sewing workroom. Perfect for beginners but also ideal for more skilled sewers, the Elna eXplore 240 offers plenty to satisfy. 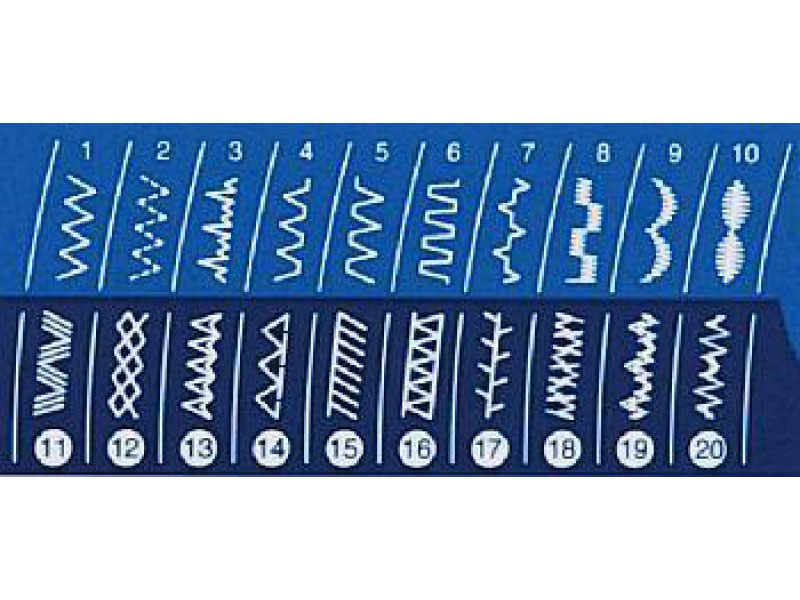 With 24 built-in stitches at your disposal, Stitches include straight, zig zag, blind hem and decorative styles. This machine delivers excellent needle penetration so you can be artistic with even heavier fabrics such as denim, the results given are brilliant for sewing a huge range of fabrics, from fine cottons, silks to thick fabrics, you have everything you need to create beautiful garments and home furnishings or to complete alterations. The Elna Explore 240ex is easy to set up with its built-in needle threader and easy bobbin winding and you can sew at up to 800 stitches per minute. You will also benefit from an automatic one step button hole. 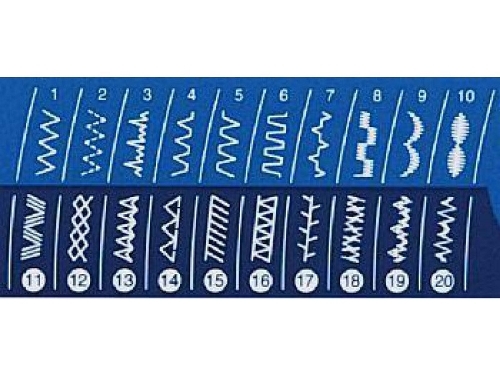 It is easy to choose your stiches via the dial and your stitch length and stitch width is adjustable. 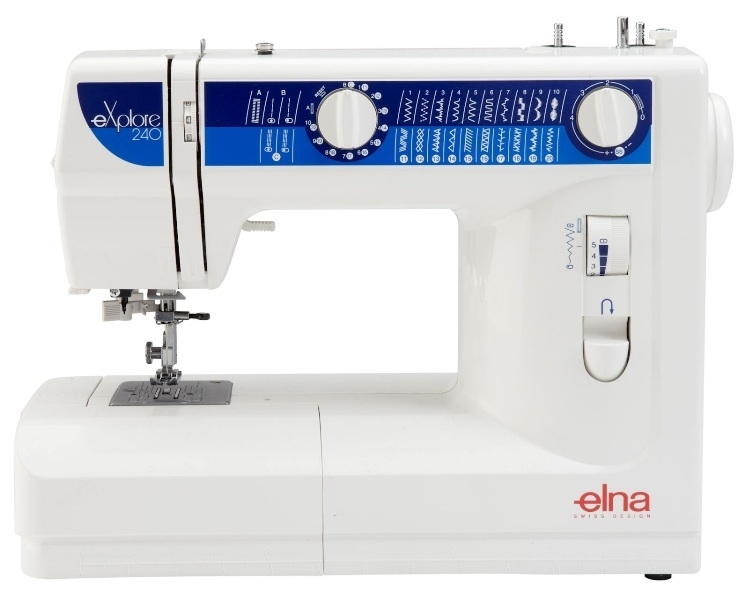 The Elna eXplore 240 also features a built-in thread cutter, a large sewing surface, electronic foot control and a free arm for circular sewing. That is everything you need to make stunning garments with a professional finish in the luxury of your own home. The Elna eXplore 240 is a remarkable value for money. It is a machine that will serve you well for years and which is sure to get you hooked on sewing in no time. PRICE MATCH GUARANTEE PLUS 10% OF THE DIFFERENCE IF YOU FIND THIS MODEL CHEAPER - NO QUBBLE. Brilliant! My old Brother stopped working in the middle of a job, and needed a new item quickly, found GUR and they were very local to me, called them up and was told I can visit the shop, the staff were very helpful and knowledgeable about the items. I purchased an Elna eXplore 240 and it is a fantastic item, very easy to use and would highly recommend to anyone.